*Childcare available at these service, see below for more info. Our Good Friday service is a multi-sensory immersion that is almost impossible to put into words — you have to experience it for yourself. Following a reflective time of music and teaching, you’ll have the opportunity to go on an audio- guided prayer walk leading you through the events of Christ’s life, culminating in his death on the cross. Tickets are free, but required to secure a seat. Seating in the chapel is limited — if you don’t have a ticket you may not be able to get a seat. During the second half of our Good Friday services you will take an audio-guided walk through five stations in our Remembrance Gardens. 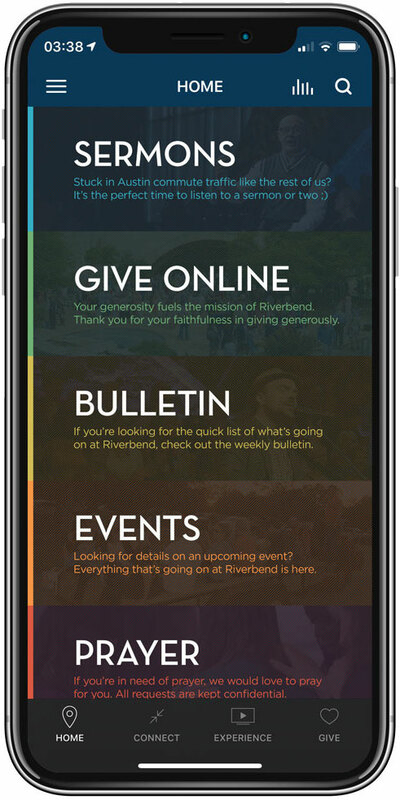 We’ll have a limited number of audio players and headphones available for some, but we encourage you stream the audio stations through the Riverbend Church App. Or, if you would like to download the audio files to play on your device, you can download them below. Out of respect for other service attendees, we ask that you enjoy this audio-guided tour through earphones.